MORNINGLOW COTONS ARE BRED WITH HEART! We at Morninglow Cotons are very happy to announce our continuing participation in the American Kennel Club "Bred with H.E.A.R.T." breeder program! Breeders with this designation have made a commitment to perform at least the minimum health tests required on a breed by its AKC parent breed club and have also made a commitment to participate in continuing breeder education programs on a regular basis. 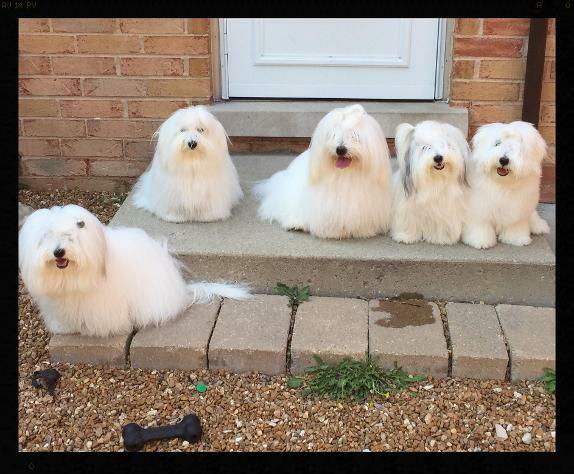 Morninglow Cotons does health testing on our active dogs far beyond the minimum required by the United States of America Coton de Tulear Club and also go far beyond what is required by the Orthopedic Foundation for Animals in order to receive OFA's "CHIC" certification. 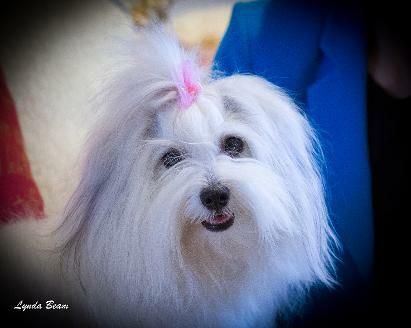 We love to have our dogs win in the show ring, but our first and foremost commitment is to do our very our best to produce HEALTHY Cotons de Tulear with the wonderful temperament that the dog should be known for! To see the testing on our breeding dogs (and even on our retired show dogs), please clink on the health links on each dog on the "Our Cotons" page. We are proud to have made this investment in the health of our future Morninglow dogs!! We are a husband and wife team of hobby fanciers/exhibitors/breeders located in the northern suburbs of Chicago. I have been an animal lover for all of my life, and got my first dog, a rescue miniature schnauzer, at the age of nine. As adults, my husband and I had four pet cocker spaniels while raising our three daughters. In 2009, when the last of our cockers had passed over the Rainbow Bridge, we started looking for a smaller, more portable breed that we wouldn't have to leave behind in a kennel while we traveled. 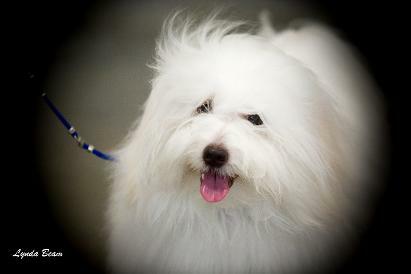 Our search led us to our very first Coton de Tulear, a little male puppy named Sammie, in the spring of 2009, and the rest has been history! It's often said that cotons are like potato chips, in that you can't have just one--and I actually think it is true! "Sammie" soon turned into Sammie and his half-brother, Pippin, and "Sammie and Pippin" soon turned into "Sam, Pippin and Ruby" and now we have a a couple more as well!! We've been showing our dogs since 2010 in multiple venues, and they have done quite well, earning United Kennel Club Championships and a Grand Championship, and American Kennel Club Championships and Grand Championships and the second SILVER Level Grand Championship ever awarded in the breed! 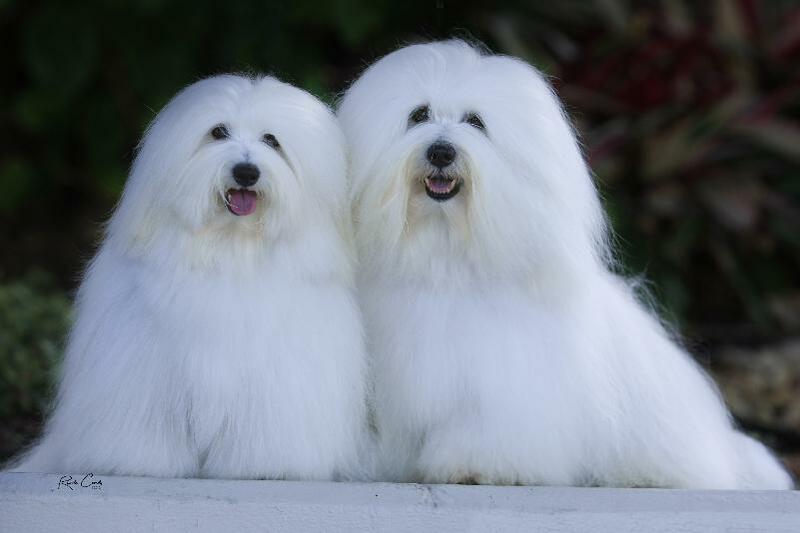 We are members and Code of Ethics Breeders (COE) of both the United States of America Coton de Tulear Club (the Parent Breed Club for the AKC), and the North American Coton Association (Parent Breed Club for the UKC). I am also a member of the Park Shore Kennel Club, one of the major all-breed kennel clubs in the Chicago area, which is one of the sponsors of the "Cool Cluster" a five-day series of all-breed shows that occurs annually in January in the Chicago area. Our dogs are all thoroughly health-tested, with results posted with the Orthopedic Foundation for Animals . First and foremost, however, our dogs are cherished members of our family. They live in the house with us at all times and bring us an unmatched sense of joy; one cannot be down when a Coton is around!! Take a look around our site, and we are sure that you will agree!